Gamblers and card cheats have been using marking systems for many years as a means to secretly locate and identify playing cards in a seemingly innocent deck. Magicians have also discovered using these same secret markings will give them an advantage while performing card magic. 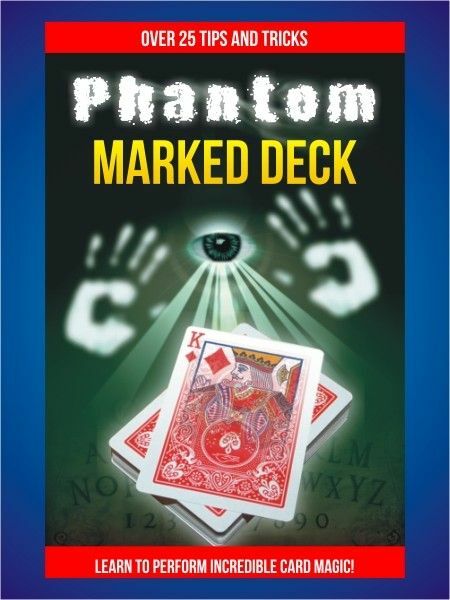 The purpose of this book is to teach you many of the incredible magic tricks and illusions that may be possible with the Phantom Marked Deck. In the included booklet you will learn to read the special markings and secretly identify a selected card. You will learn how to locate and even control the spectator’s card. 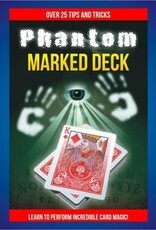 This book will show you over 25 tips and tricks with the Phantom Marked Deck. Add a little practice, and you will be performing incredible card magic in no time!